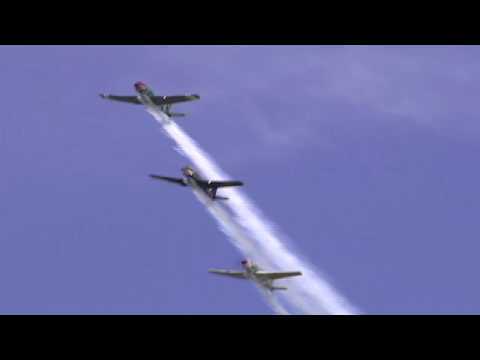 We are a Precision Warbird Mass Formation Display Team. 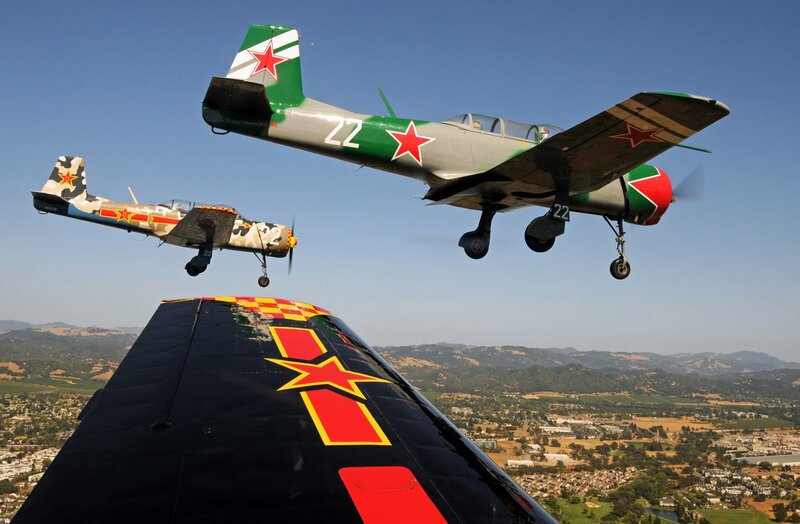 We are are available for air shows in the Northern California area, staffed by FAA qualified warbird formation pilots that have been trained and evaluated to the standards of the RedStar Pilots Association (RPA), a member of the National FAA Formation And Safety Team (FAST). 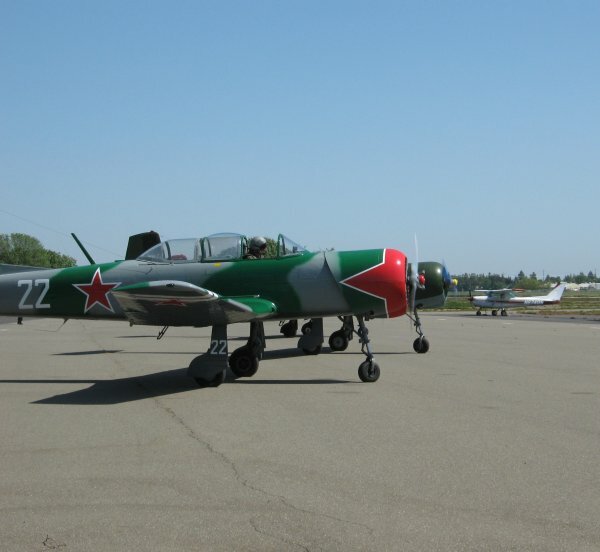 Teams range from 2 aircraft to 10, and are determined by the organizers needs and RedStar volunteers. Shows generally include multiple passes in front of your audience in varied military formation configurations to include "Finger-Four", "Echelon" and "Diamond", and can include opposing solo and opposing team maneuvers that are unique to the RedStars performance. 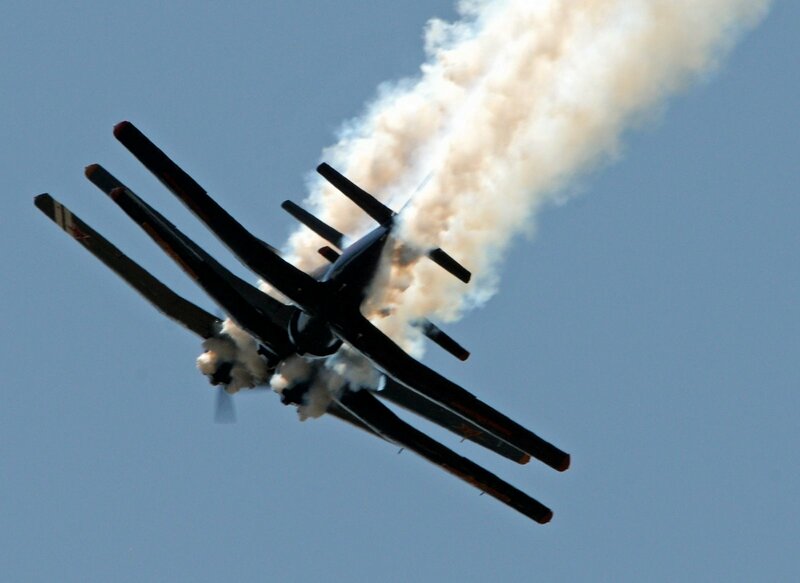 These demonstrations are non-aerobatic and display the precision flying capabilities of RPA formation qualified pilots. Missing man formations are also available for memorial services and funerals. 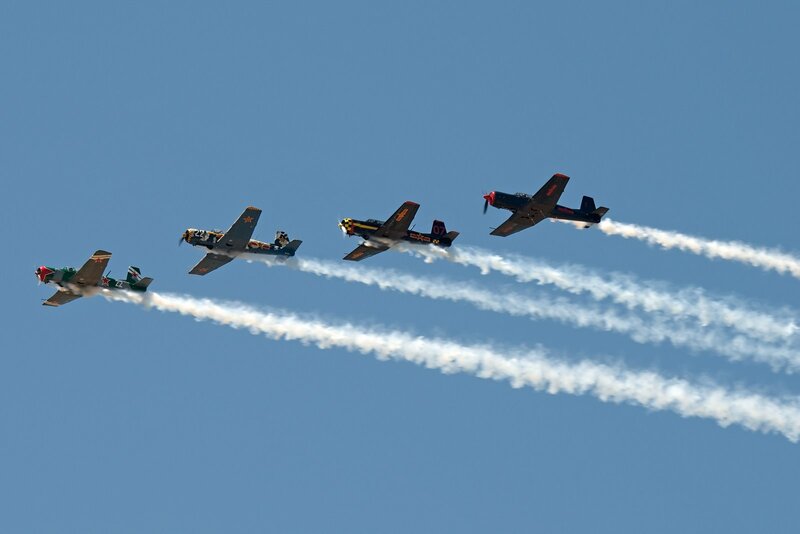 Due to our unique radial engine aircraft, our standard support requirements are, on average, 30-50% less costly in aviation fuel than our North American counterparts, which means significant savings for the airshow! - Fuel, Engine and Smoke Oil on arrival, after each demonstration, and on departure. 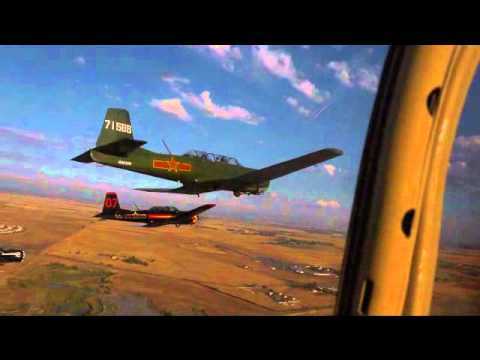 Our teams may fly more than one show per day if requested. This is a valuable tool to the airshow, which may experience a fall out in the schedule and need to rapidly call on RedStars to assist in meeting their real-time needs. 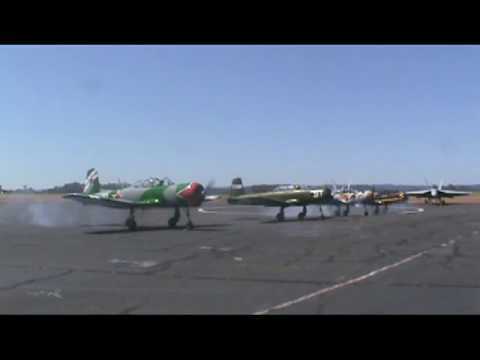 With the number of aircraft and pilots available both in the air and on the ramp (for your static line, media needs and audience interaction), the Bay Bomber Squadron is a unique value in the airshow industry. See an article about the Wings Over Wine Country Airshow in the In Flight Magazine: http://inflight.squarespace.com/featured/2010/10/11/record-setting-wings-over-wine-country.html.